22 1/2" long, with a calculated displacement of 16 oz. these floats work will on models up to 14 oz. Originally designed by Harry Stewart for the Electric Flash, these floats have been engineered with a complete hardware pack to mate with most any model with a fixed "tail drager" landing gear. 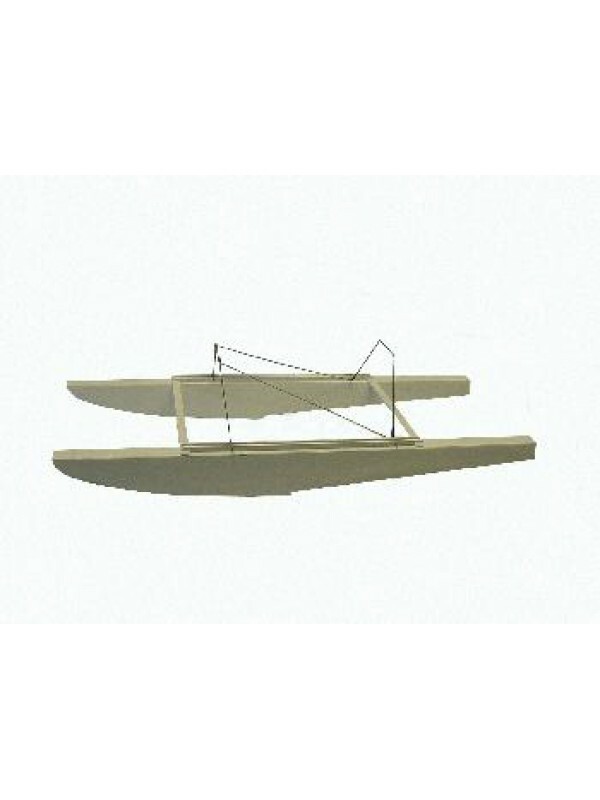 Design allows the floats to be attached to the models fixed landing gear in front with an adjustable rear support, alowing change over form land to water and back in minutes. It's reported that these floats also work well on snow. 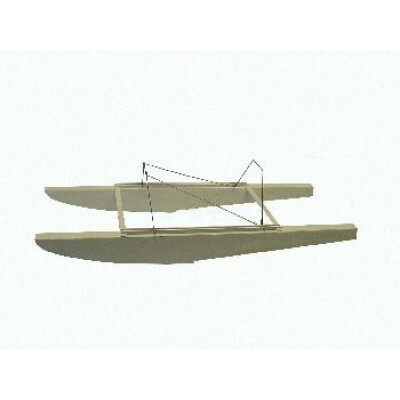 Check out radio-controled / Floating-Flyers on our home page for models we have flown with these floats.